Used for the drilling processing of H-shape steel, box beam and channel steel of steel structure, bridge, three dimensional garage and petrol platform. It is designed for medium size steel fabricators desiring to increase profitability and output (tons-per-month) in today’s extremely competitive market. Model SWZ Series Machines eliminate time-consuming manual beam layout and hole drilling, formerly done by mag drills and/or hydraulic punches. 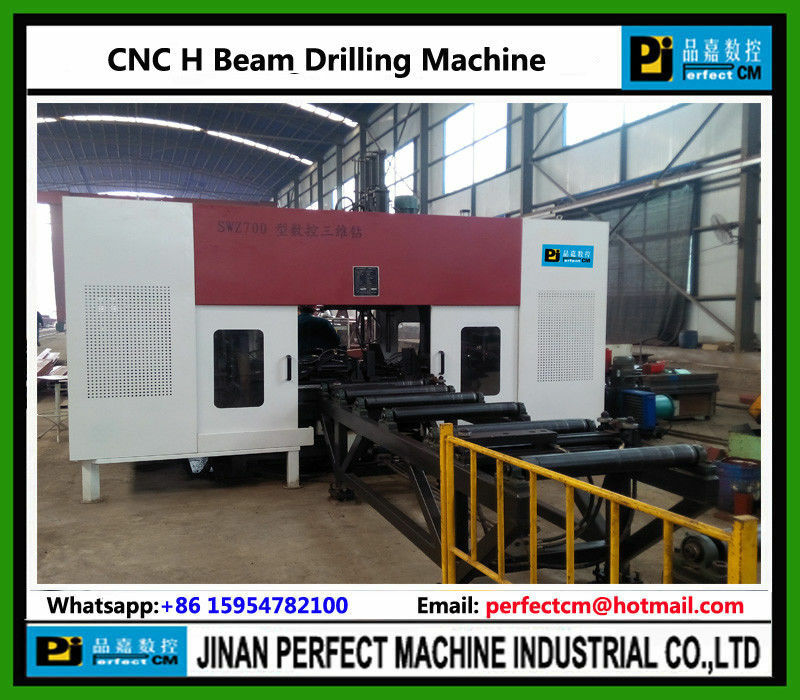 This machine is mainly composed of infeed conveyor, CNC infeed carriage, drilling unit, Out-feeding conveyor, as well as hydraulic, electrical and pneumatic systems etc.